You want politically incorrect? Try this: Voters are ignorant, and election results prove it. Politicians won’t say so. They can’t very well call us boneheads and then ask for our support. And it is somewhat awkward for people in office to suggest they were installed by a confederacy of dunces. 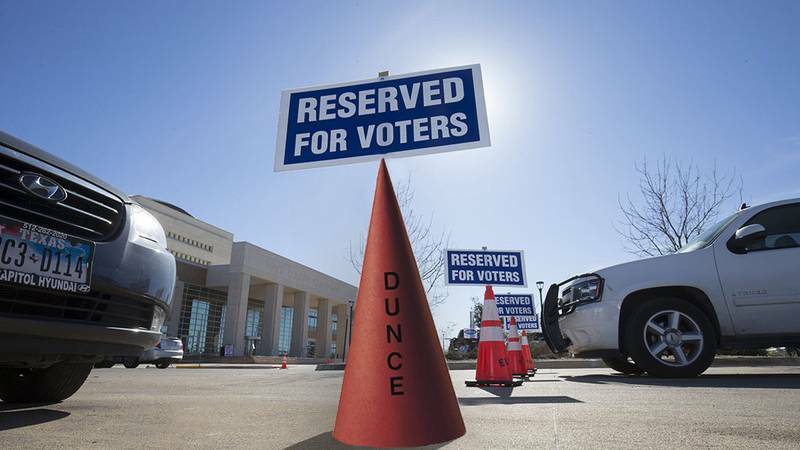 Mind the difference between “ignorant” and “stupid.” Voters are smart enough — they just don’t act like they know what they’re doing in the privacy of the voting booths. The only other way to spin this is to suggest that they do know exactly what they are doing, that the crowd is wise, and that every single goofball who now holds office is the result of sound decision-making by your fellow citizens. On balance, the work of the voters is fine. When the products of their ballots are remarkable, however, it is too often because mistakes were made. Voters don't do their homework. They are truly terrible at sorting good from bad information, at checking things out, at questioning their own assumptions when new information comes in. High school teachers call it critical thinking. Examples abound. Several examples are (or were) running for president this cycle, with significant but so far insufficient support. Anybody who says the voters are stupid is in trouble because the same voters who won't respond in any meaningful way to most factual information will act easily and forcefully on emotional issues — like whether or not someone is calling them ignorant. But politicians prey on voter ignorance constantly. They distract us with unsubstantiated rumors and insinuations about adultery (target: Ted Cruz), disparagements of decorated war heroes (targets: John Kerry, John McCain), slanders against adopted children (target: McCain) and unfounded questions about birthplace (target: Barack Obama). Political pathogens fill the air and the airwaves, spreading among the most gullible voters until they catch hold and become the bedrock untruths of our culture. With no evidence that Ted Cruz is an adulterer, some number of people will continue to believe it after this gossip-riddled election cycle. A CNN/ORC poll last year found one in five Americans believe Barack Obama was born outside the United States. He won two terms as president, so one might argue that it doesn’t matter. It benefitted someone else, though: Donald Trump, one of the biggest promoters of that idea, is now the Republican frontrunner for president. That kind of stuff only works when enough voters buy it. Cruz, the presidential candidate who actually was born outside the United States, has argued with some success that he’s a natural citizen because his mother was one when he was born. Voters seem smart enough to get it this time — eight years after Obama hacked his way through a thicket of birth certificate brambles. Not that it matters now, but his mother was also an American citizen; by Cruz’s argument, it shouldn’t have mattered where Obama was born after all. Voter decisions in judicial races make judges shudder. In 1994, the state’s voters put a lawyer named Steve Mansfield on the Texas Court of Criminal Appeals, the state’s highest criminal court. He was just trying to get some name ID and maybe some legal clients, he said at the time. He didn’t have much experience. He made the kind of news judges don’t like to make, from leaving his three Pomeranians in his car in a state parking garage shortly after he took office to being arrested for trying to scalp the free University of Texas football tickets given to him because he was a state judge. Surely that wasn’t what the voters planned. Xavier Rodriguez, now a federal district judge in San Antonio, was knocked off of the Texas Supreme Court by Steven Wayne Smith in a race often attributed to Republican primary voters’ preference for Anglicized names over Hispanic names. Two politically incorrect assumptions underlie that folk wisdom: one, that there just might be a tinge of racism in the electorate, and/or two, that the voters didn’t know what they were doing. So it goes: The Republican “establishment” anguish about the success of Trump so far masks that establishment’s disagreement with the voters. All sorts of cranks and yahoos run for president and have done so throughout the richly bizarre history of U.S. politics. Trump’s success is what raises the stakes, and we all know who it is who has made him successful so far, right?